High Impact Large Sales Forms 069 At Print EZ. High Impact Large Sales Forms Item No. 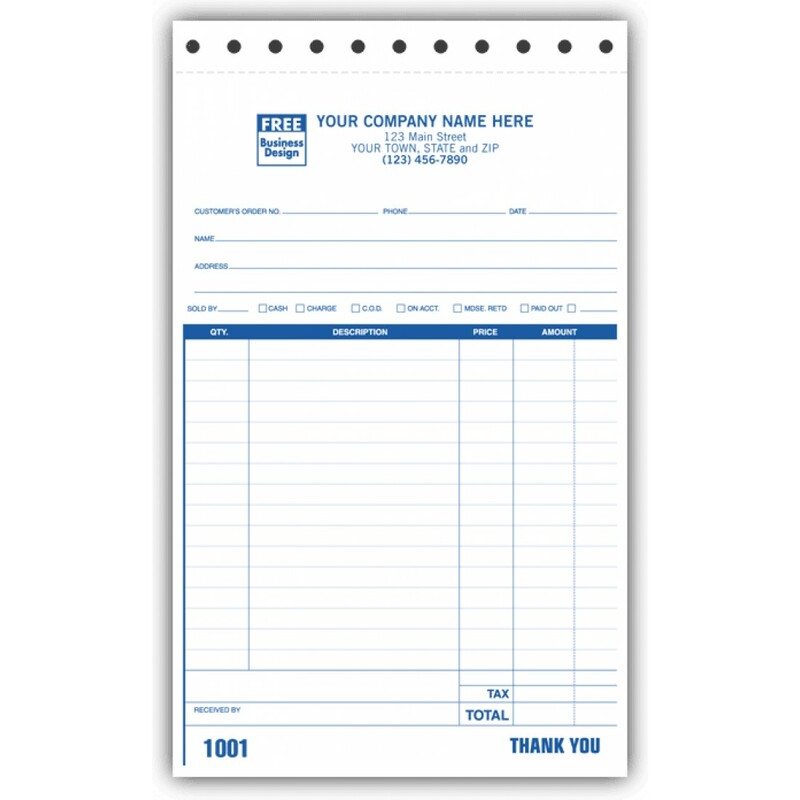 069 Size: 5 2/3" x 8 1/2"
Maintaining sales records is never an easy task, but we have managed to change this with our high impact large sales forms. Printed on carbonless paper, these forms have done away with the bothersome carbon sheets. Their consecutive numbering facility is no doubt very handy during referencing and filing. Be it calculating the exact tax levied on the sale or the mode of payment that the customer opted for, everything can be listed out with ease on these forms. However, the show is stolen by the layout of these forms which is comprehensive, easy to follow and compact too. Covering all the details of the sale, these forms end with a nice thank you at the bottom thus leaving a good feeling in the customers mind.